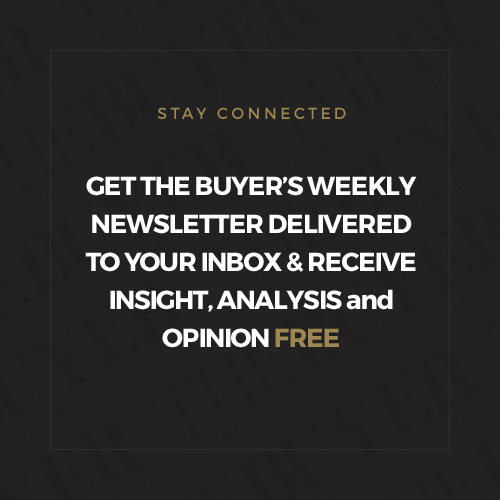 As documented here on The Buyer by Peter Dean back in 2016, Dave Powell is back with a bang. 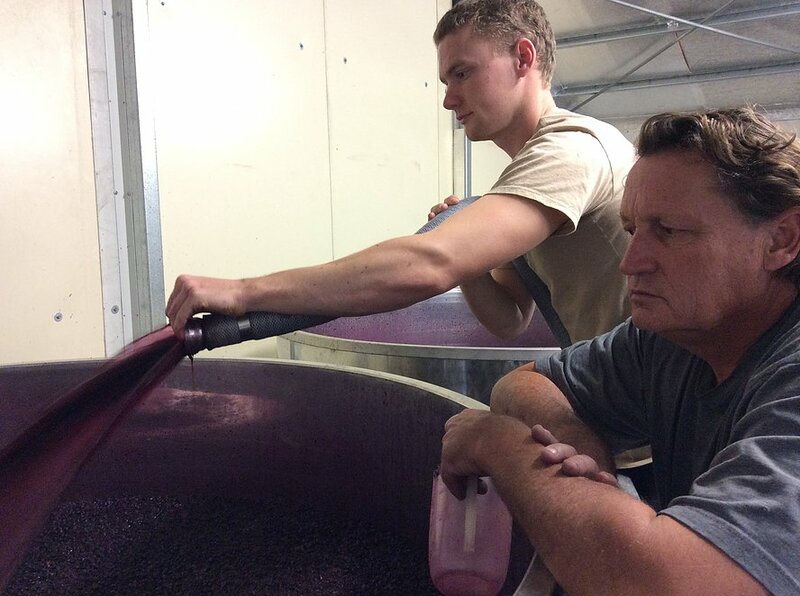 Co-founder of Torbreck, the winemaker moved on to found Powell & Son back in 2013 with son Callum, now 23. Since our last tasting two years ago, they have three new wines on the scene: a Roussanne/Marsanne, an epic Mataro and a Shiraz from biodynamic genius Marcus Schulz’s vineyard. 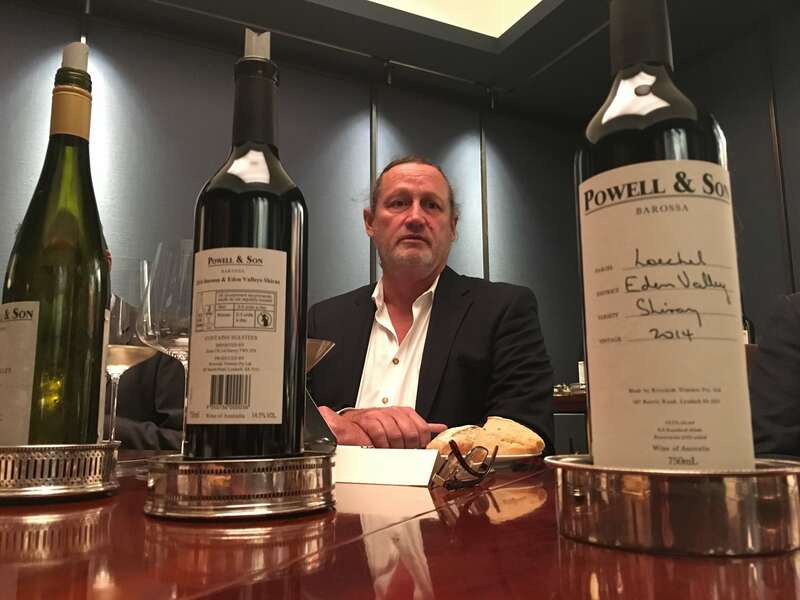 Wisely side-stepping the infamous stories about Powell & Son owner Dave Powell, Christina Rasmussen keeps her focus on the wines and gives detailed tasting notes of the new 2016 vintage. I often feel that wines reflect their maker, and vice versa. 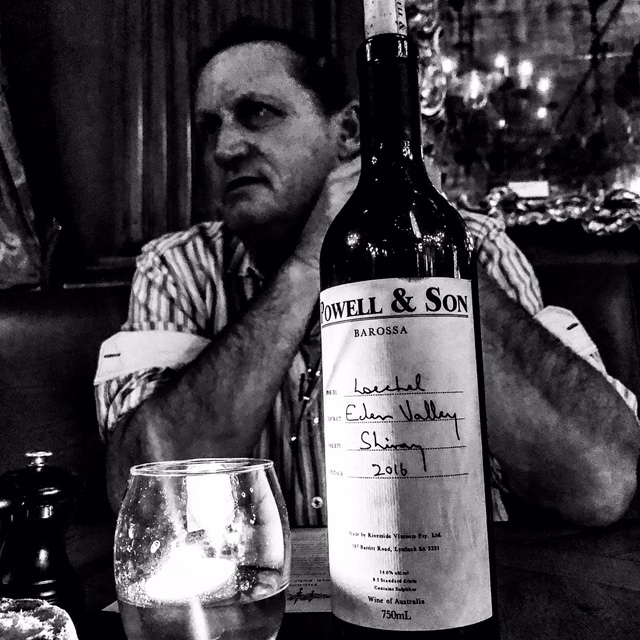 Dave Powell, one half of the owner/ wine-making team at Powell & Son is, well, a big personality. As I sit with him at Brunswick House, tales are recalled of branded backsides after late nights in Copenhagen. Those around in the wine trade a decade ago might well recall having seen said branded behind. He muses that he would show me, but it’s faded. I think I’m relieved, not just for myself but for fellow diners too. However, with these wines – they’re not Big and bursting of laughter, and they’re not going to brand you with big alcohol or charred wood. These are very serious expressions of Barossa and Eden, with lifted aromatics and perfumed aromas, and supple, dense, interesting textures. They reflect the serious gaze that sits behind Dave’s twinkling eyes. If you look beyond the surface of this fun character with hundreds of stories from parties of years gone by, this is a very serious man: one on a mission, and that is what these wines speak of. 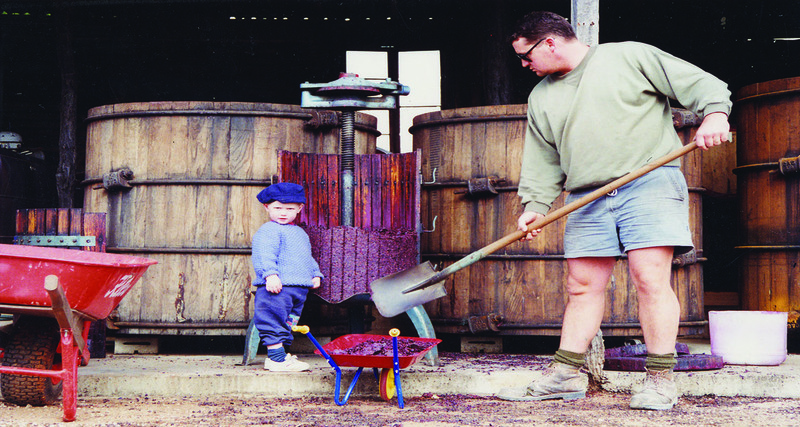 After having examined all the wines he had ever made with son Callum, the two examined what they did and didn’t want. Dave noted that, perhaps without even realising, the wines had taken a turn towards being too savoury, with too much dry extract. Today, the two are first and foremost working towards freshness. Thus comes the huge investment into foudres to reduce the ratio of wood to wine and bring more vibrancy to the wine. More crucially is the source of the fruit. Dave and Callum have painstakingly sought out some of their favourite plots of land, particularly those on slopes whereby they are shielded from the hot afternoon sun. They are very specific parcels cherished by Dave and farmed with utmost care and devotion that result in very concise wines. Opportunities to buy fruit from top vineyard sites continue to arise, but the father-son duo have now decided to stop, as they are content with the devotion they can give to each of their wines. 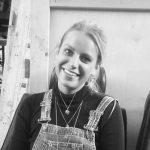 Callum has just returned from working with Chave for a year, and it is he who has been so insistent for the Eden Valley side of the project, hence we see the duo creating equal amounts of wine from both sides. Single vineyard sites are named after their planters, and vines are very old. The fascinating thing here is the lack of precise knowledge as to the clones in use. As the plots are so old, the original clones from which the vines were grafted may well have disappeared post phylloxera. Whether there is indeed a way to identify them or not, and whether Powell will invest will remain to be seen. Callum, as most young winemakers do, will be experimenting more. Unfortunately he was down with the flu when I sat down with Dave, so I couldn’t grill him about these ideas, but there will be some toying with more whole bunch, cold soaks and extended maceration, for example. Dave wants him to experiment freely as much as he can. There will also be some experimenting with zero sulphur and natural winemaking. 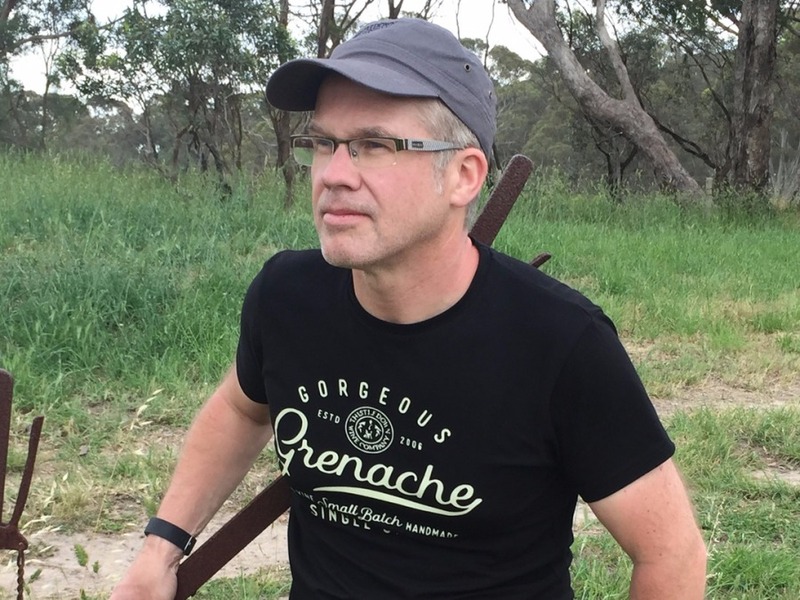 Musing on natural winemaking, and more specifically on yeasts, Dave grins. He explains that he made his first natural wine many years ago, and has been a fan of Allemand for over a decade. He sighed: “there are a lot of people making ‘natural wine’ now, but from sprayed vineyards. Some are also lying about sulphur use.” For Dave, he simply wants his site to speak. 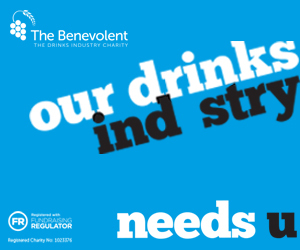 With regards to this, he went on to discuss yeasts – for him, he likes to innoculate with a very simple starter yeast that impacts no flavour. The Roussanne/Marsanne was indigenous, but for the others Dave places strong emphasis on the fact that he wants a fast and clean fermentation – the risk of not finishing fermentation would mean the necessity to add vitamins or other things to the wine, which he doesn’t want to risk as this would interfere with the wine. His wines remain unfined, unfiltered and sulphur use is low. Very pretty orange oil nose with subtle acacia. It really sings on the palate; a driven and direct wine, textural – imagine a flower petal texture in wine – and round on the mid palate with dried apricots on the finish. Zippy and lifted and just so lovely. They also produce a lovely, pure expression of Eden Valley Riesling. The wine is perfumed, lifted with green apple skin with a lavender edge, with blood orange pith on the palate, joined by grapefruit pith on the finish. Very precise, elegant and poised. Yields are low here and press is delicate; seeing a press yield of only around 40% (usually it is around 65-70%). I feel this results in the distinct tension that this wine exhibits. Inky blueberry and white pepper nose. Bright, very approachable and pretty. Charming and plush on the palate, velvety with a lovely fresh crunchy backbone. Spicy finish with lovely black cherry notes and broad shouldered elegance. At £12.95 here (2+cse rate DPD ex VAT), well – boom. Dave is showing us all brilliant talent (and brilliant vines) with value for money. 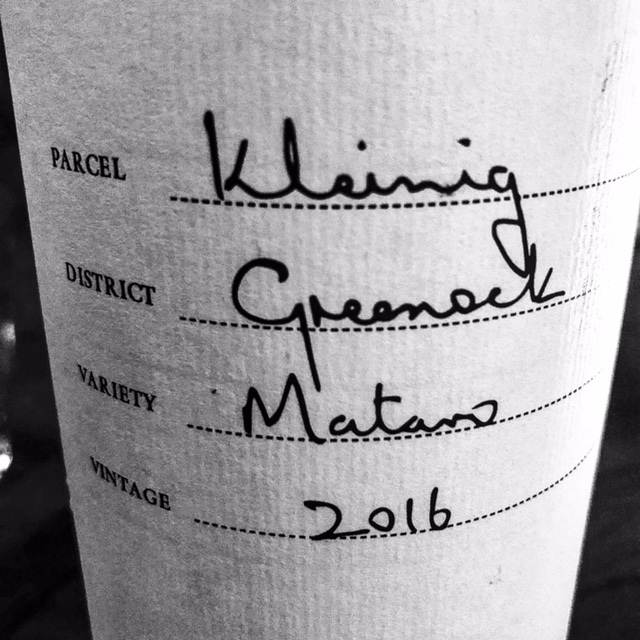 Kleining Grenache Mataro 2016 (Greenock, Barossa. Old clone, 85 year old vines, first vintage). 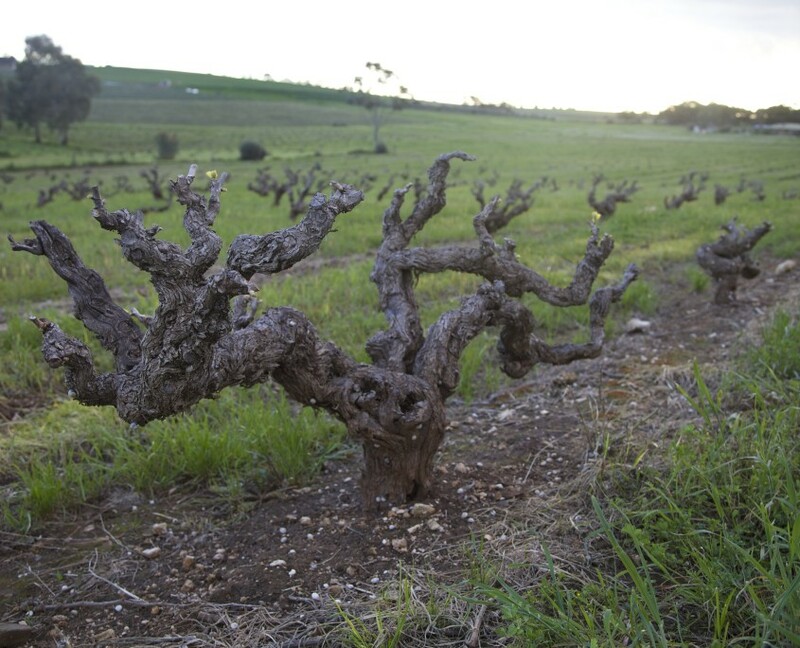 Here in Greenock, the Mataro sits on red clay and ironstone outcrops, on alkaline calcareous subsoil. Such a seductive wine. Alluring nose, brooding and intense. Cigar smoke meets graphite, which meets beautifully silky tannins on the palate with some dried meat notes and bramble skin. A stony finish with spine tingling spice and humming acidity. It’s evident that Dave likes a challenge – he’s not exactly the kind of guy to back down. This is clear in his Mataro – he has taken this slightly more maverick grape, guiding and crafting something really outstanding. 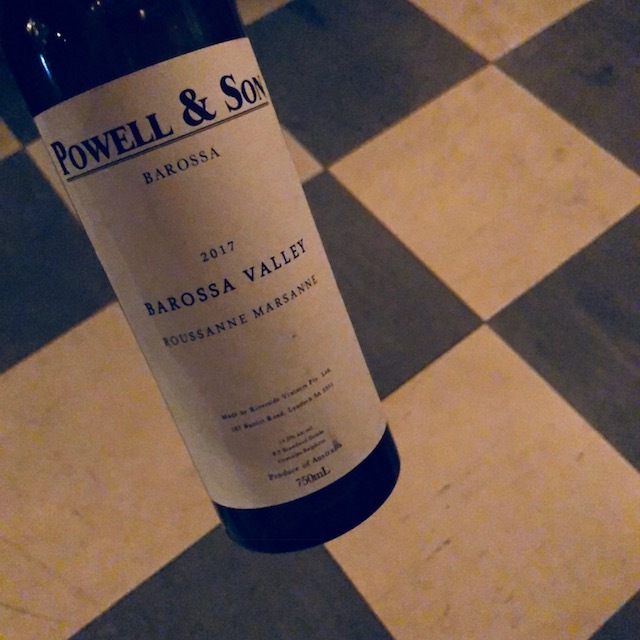 Barossa Valley Shiraz 2016 (20-30 year old vines, 15 months in 45hl French foudres). Parcels are vinified separately in concrete, after which they are blended into the foudres and aged for 15 months. Bright cherry skin nose, rich, deep and giving. Nice subtle herbal mid-palate with fresh coffee notes joined by a woody forest side. Bright black cherry skin on the finish with some fresh cassis notes, and a lingering tobacco edge. It’s delicious. Here the question will be what to do when the vineyard matures – to keep the fruit in this wine affordable. Here we have a totally different Shiraz (or would “Syrah” perhaps apply more here?). Very fresh, with raspberry skin notes on the nose, and fresh dark coca nibs. Very pretty, vibrant and energetic, almost with a soapy texture on the palate. White pepper notes join white smoke, black olives and crushed flowers on the palate, with zippy acidity and a stony finish that stays on the tongue for a long time with lingering gentle earthy notes. From the Schulz vineyard, this is the only single vineyard wine produced from a vineyard that is not managed by Dave and Callum, but here we have the magic Marcus at work. The vineyard sits on rich red-yellow clay with white sand topsoil. Talking about this wine, Dave’s eyes light up. “I love it. Ebenezer for example can be too inky and iodine, whereas this gives an almost ice-cream-like texture to the wine. Intense, bright nose of earthy blueberries and prosciutto and a distinct black smoke edge. A central palate, direct and tunnel-like with savoury olives, herbs and bramble fruit. It’s a serious, handsome, suave wine with silky, paint-like tannins. Schulz himself describes these tannins as “neck oil.” I can see why. 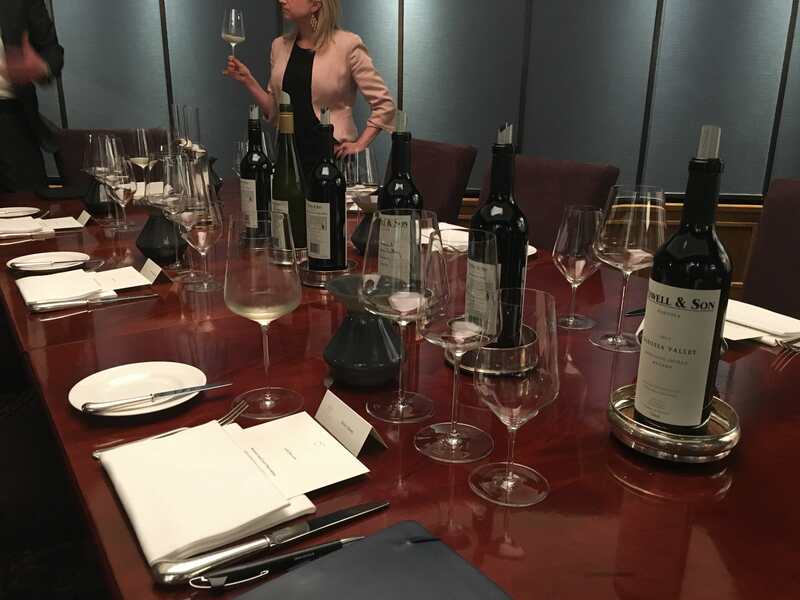 Steinert Flaxman’s Valley Shiraz 2016 (situated in the high hills of the Eden Valley’s Flaxman’s Valley at 480m – from some of the most ancient vines of Barossa, which are now over 130 years old. Aged for 18 months in four-year-old Dominique Laurent Selection casks). Here, the soils are dark gravelly loam over clay, with some quartz, which Dave believes gives the wine more minerality and a flinty freshness as well as acid retention and a bonier tannin texture – a tighter structure. Wow. The wine has a vibrancy that I don’t often find in Shiraz. A tight, tembling punchy nose of cherry skin, rose petals, bramble fruit, violets and crushed lavender. On the nose there is bright red fruit, redcurrant-like acidity with pure and soft berry flesh-like tannins and a coffee bean finish. Texturally this wine is more lifted, it dances and is less muscular and less brooding. It’s a ballerina of an Australian Shiraz. A thrilling tasting. 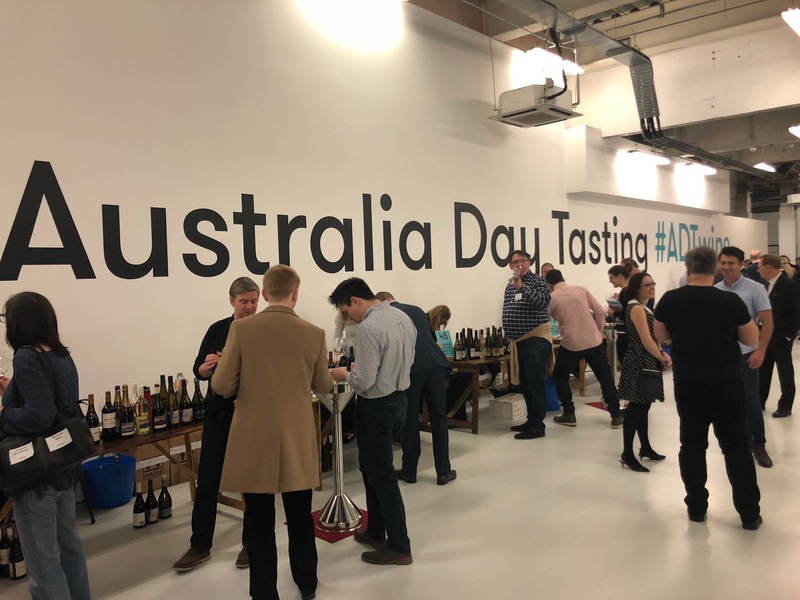 The wines don’t come cheap; but they’re pieces of Australian vinous history and they are very much examples to further solidify Australia’s place on the fine wine map. Thank you Dave and Callum. Powell & Son wines are imported by Raeburn.